New Clients receive 10% off their first roundtrip to any airport! Los Angeles Executive Limousine provides LA Car Service and Limo Service in Agoura Hills, CA. In fact, our very first client, a consultant who now serves on the board of many well known corporations, still lives there 15 years later. We are proud to say is still one of our valued clients. This speaks volumes about the dependability, quality and affordability of our limousine service. Whether your needs are for business or pleasure, Los Angeles Executive Limousine Service, located conveniently nearby in Woodland Hills, provides LA Car Service & Limo Service to the general public as well. If you need transportation to LAX or any of the other regional airports, a business engagement, a doctor visit, a night on the town, a concert, a wedding, a prom, or a funeral, Los Angeles Executive Limousine offers safe, reliable limo service in all of the west valley area. Call anytime, 24 hours a day, seven days a week, and a professional reservationist will pick up and help you with. 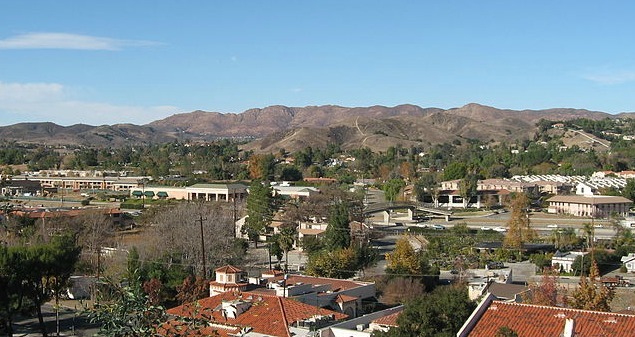 We don’t charge travel time for Limo Service in Agoura Hills for limousine or a sedan. You don’t pay until the pickup time you arranged. We only charge travel time if we drop you in a distant area like Orange County. In our 14 years of operation we have performed literally hundreds of trips from the Agoura Hills area to LAX, Burbank Airport, Long Beach Airports. Never once have any of our clients been involved in an accident. Our prices aren’t the cheapest, but nor are they the most expensive. We are priced comfortably in between to insure high quality vehicles, chauffeurs, and service.